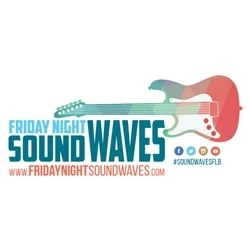 Fort Lauderdale, FL, March 13, 2018 –(PR.com)– As the official airline sponsor of Friday Night Sound Waves, Southwest® will present nine performances during the 2018 season, beginning Friday, April 6, and concluding with the final show of the season, November 2, 2018. Once again, guests attending will be able to enjoy the airline’s signature snacks, and kick back in a re-imagined open seating beachside lounge and game zone. One very popular reward for attendees also makes a comeback, with the opportunity to enter for a chance to win round trip air travel in the #WannaGetAway Giveaway sweepstakes, hosted by Southwest. On select dates, throughout the season, those attending the free beachside concert series may stop by the Southwest Counter and register* between 6:00 pm. and 8:15 p.m. for the opportunity to enter for a chance to win round trip air travel and embark on an adventure anywhere Southwest flies, including the carrier’s eleven new nonstop destinations from Fort Lauderdale to the Caribbean, Mexico and Latin America. Winners must be present to claim that evening during the performer’s second set. With spring and summer travel plans in the making, the timing of the #WannaGetAway Giveaway Sweepstakes could not be more perfect, especially considering the first giveaway on Friday, April 6 coincides with a performance by Edan Archer, one of the airline’s former finalists in the “Artist On The Rise” contest competing for a chance to perform at the Destination Red Rocks event, as well as having performed a “Live at 35” inflight concert. Additional presenting nights affording the opportunity to register for a chance to win include performances by Oriente (April 13); Valerie Tyson Band (April 27); All Access (May 25); Spred the Dub (July 6) and the season finale with Mr. Nice Guy on November 2. Still in need a special gift for Mom, Dad or a recent Grad? 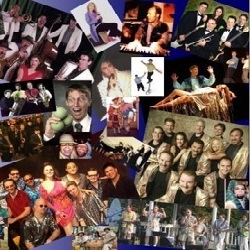 Three more opportunities to win air travel take place during Southwest’s presenting nights at the Mother’s Day performance with Ladies of Soul on May 11; “School’s Out for Summer” concert with School of Rock on June 8, and the Disco Dad first day of summer concert with Gypsy Lane on June 22. Funding for Friday Night Sound Wave is provided in major part by the businesses on Fort Lauderdale Beach and Beach Business Improvement District (BID), along with series partners Southwest Airlines, The Greater Fort Lauderdale Convention & Visitors Bureau, Entercom Radio stations 102.7 The Beach, 104.3 The Shark, 101.5 Lite, KISS 99.9, and Florida Power & Light. To view the complete series lineup and additional details on Southwest Airlines #WannaGetAway giveaway and other sponsors nightly prizes and contests, visit www.fridaynightsoundwaves.com. In its 47th year of service, Dallas-based Southwest Airlines Co. (NYSE: LUV) continues to differentiate itself from other air carriers with exemplary Customer Service delivered by more than 56,000 Employees to a Customer base topping 120 million passengers annually, in recent years. Southwest became the nation’s largest domestic air carrier in 2003 and maintains that ranking based on the U.S. Department of Transportation’s most recent reporting of domestic originating passengers boarded. During peak travel seasons, Southwest operates more than 4,000 weekday departures among a network of 100 destinations in the United States and 10 additional countries. Southwest has announced its intention to sell tickets in 2018 for service to Hawaii, subject to requisite governmental approvals.